Our Titan Series increases productivity and reduces down time by utilizing interchangeable components. The flexibility of the product line adapts to changes in processes or personnel. Changing heights from standing height to ADA to sitting height is easily accomplished with standard components. Less floor penetrations and structural connections offers a reduced installation cost while maintaining flexibility. 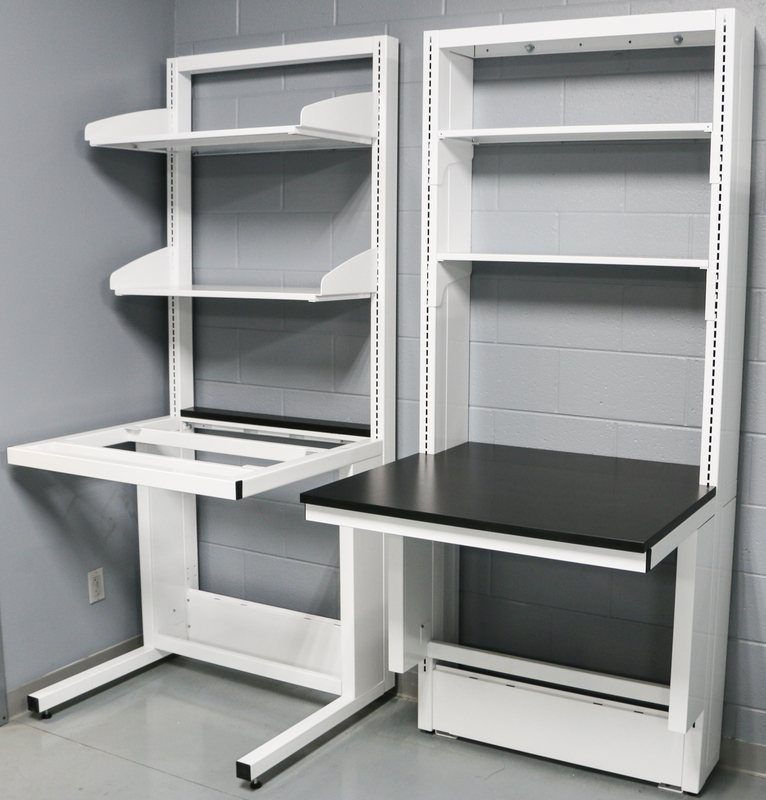 With our 11 gauge brackets and 12 gauge steel shelves, Air Master Systems has the strongest shelves in the industry. The single slot wall standards allow for maximum space for shelving whether you use wood, laminate, phenolic or steel for your shelving needs. With so many options available, please contact your local distributor for more information to help you design the furniture system to suit today’s requirements as well as future needs.